What to do BEFORE your tanning session? 2) On the day of your session, refrain from using moisturizers, perfumes, lotions, oils, or deodorants as they can create a barrier on your skin. 3) Use the blending cream that is provided for you and apply it on any rough skin areas (hands, feet, elbows, knees, etc). Ask the staff member working for any further instructions. What to do AFTER your tanning session? 1) Wear loose clothing immediately after if possible. Tight clothing such as undergarments and socks can rub your tan off. Also tight shoes can rub your tan off of your feet. 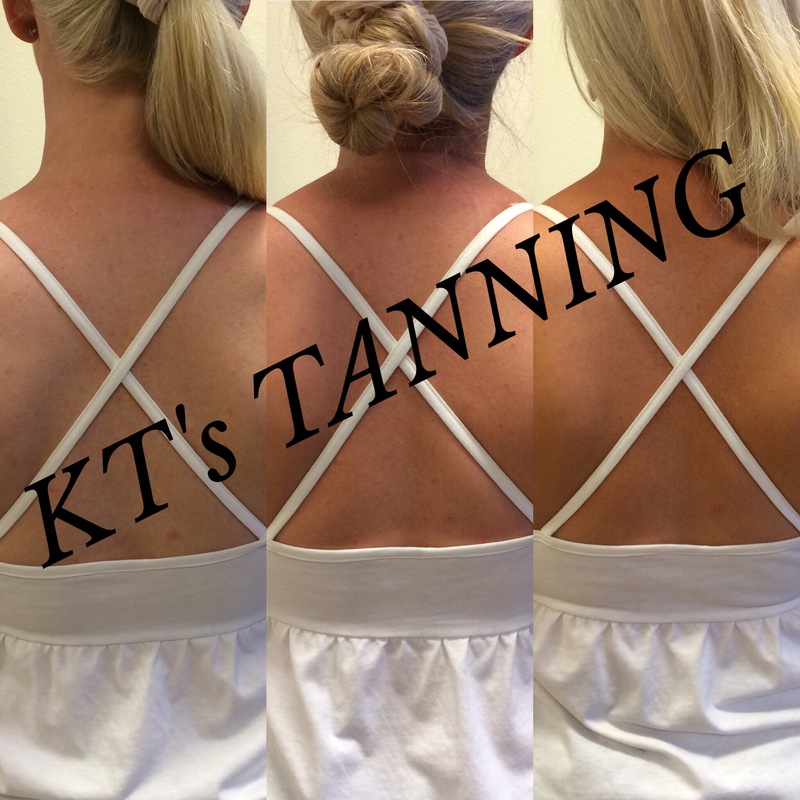 2) KT’s Tanning recommends waiting 10-12 hours before showering for optimal results. Try your best to avoid getting your spray tan wet during those hours as well. Your tan can last up to 7 days, here’s how to PROLONG your tan!! 1) Moisturize twice daily with non-scented moisturizer. 2) Limit shaving and exfoliating. 3) Pat dry after showers instead of rubbing. -For any more information on what to do after your tanning session/how to prolong it, please ask the staff member after your session.